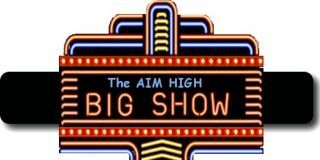 Chris Gilray, president and CEO of Southeastern sales rep firm Aim High Audio and its sister company AHA Distributing, reports the companies’ third annual Big Show was a huge success again this year. The event, which took place March 24-25 at the Marriott Atlanta Northwest at Galleria hotel, had 73 participating manufacturers, featured Origin Acoustics’ Jeremy Burkhardt as keynote speaker, and provided five training programs per day. Courses offered included "5 Things You Need to Know About HDMI Before Installing 4K," "Putting Pizzazz & Profit in Projection," "Wi-Fi Best Practices," and "ISF Video Calibration Crash Course." “[During] two days we had ... 567 dealers [attend]!” said Gilray. “Further, our trainings were filled beyond capacity, indicating a real thirst among dealers to learn about today’s complex technologies." "Each year the Big Show gets bigger and better,” said Steve Mowery of Neal Electric in McDonough, GA. “In addition to all the latest products from the best vendors, Jeremy Burkhardt was the finest keynote speaker I've ever heard—a pioneer in the audio industry and a great American dream story. To be one of the original customers of Aim High Audio, and to see them grow these past few years, is also an awesome testament to small businesses." In March of this year, AHA Distributing was appointed as Catalyst AV Distribution Network’s southeastern states partner. In such, the company picked-up APC, Catalyst Wire & Cable, ClearView CCTV, Dropcam, EnGenius, IC Realtime, Nest, Rapid Mounts, TiVo, Vanco, and Vivitek, all of which it rolled-out to dealers at the Big Show. Other participating exhibitors included Autonomics, Alarm Controls, Atlas Sound, B.E.S Tools, BDI, Denon, Boston Acoustics, D-Tools, Draper, Dynaudio, Datacom, Definitive Technology, DSC, E-Line, Ethereal, Golden State Instruments, HEOS, Hegel, iRoom, Intrasonic, Inakustik, Impact Lighting, Induction Dynamics, Just Add Power, Kimber Kable, Leon Speakers, Legand / OnQ / Nuvo,Marantz, MartinLogan, Middle Atlantic, Omni-Mount, Peerless-AV, Platinum Tools, Origin Acoustics, Octave, ON Controls, Parasound, PRO Audio Technology, Relidy Pro, Rockustics, Russound, Screen Innovations, Speco, Soundtube, Secret Sound, Solid Drive, Soundsphere, Seura, Springdeck, Supply Stream, Telguard, T+A, Tranformative Engineering, UPG, Wilson Electronics, Wolf Cinema, Zigen, and ZK Access.